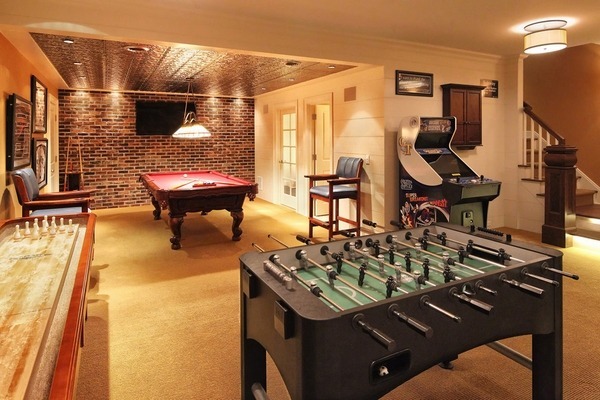 Basement ceiling ideas are a part of a remodeling and when you plan the design of an unfinished basement you should consider every element – insulation, flooring, sealing, color palette, furniture, etc. 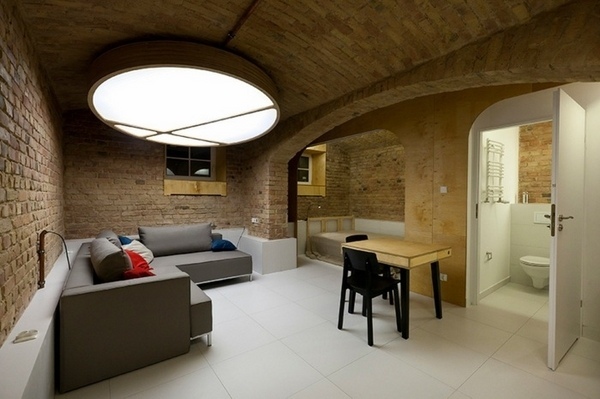 Basements are often used as a storage space and often the amount of natural light is limited. 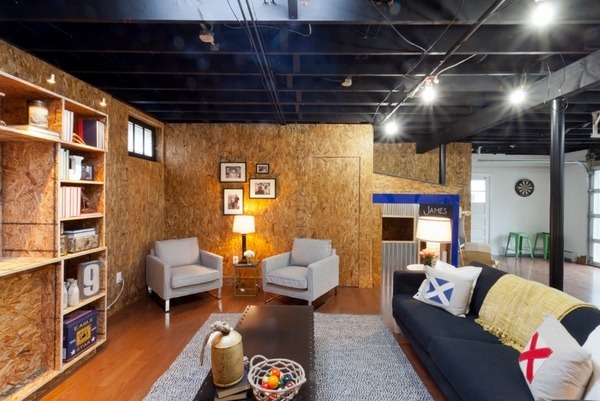 This makes them uninviting but an unfinished basement can be converted into a useful living space, depending on your needs. There are so many exceptional and original remodel ideas and you can create a comfortable place for entertaining, place for accommodating guests and family members, etc. Unfinished basements have a huge potential to be converted into rooms for daily social activities, for family activities or kids play area. Place a large screen TV, pool table, add comfortable seating furniture which can be re-arranged as per the needs of the family – a sectional sofa would be very convenient, beanbags, ottomans, etc. Provided that there is good soundproofing the basement can become a great music studio for rehearsals and recordings. Install lighting and a sound system and you will have a beautiful recreation area. 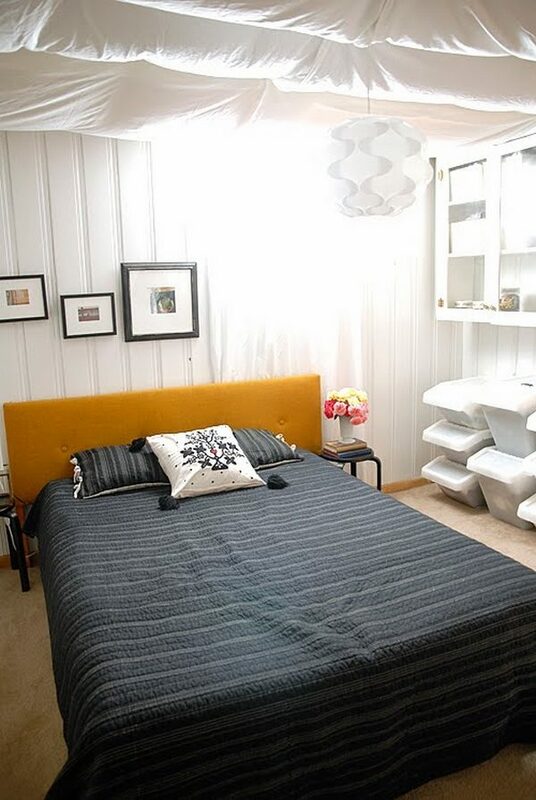 Converting the basement into a bedroom with a bathroom is another good option as you will have a guest bedroom without sacrificing any of the main living space. Keep in mind that most building codes require an emergency exit and consider window wells. 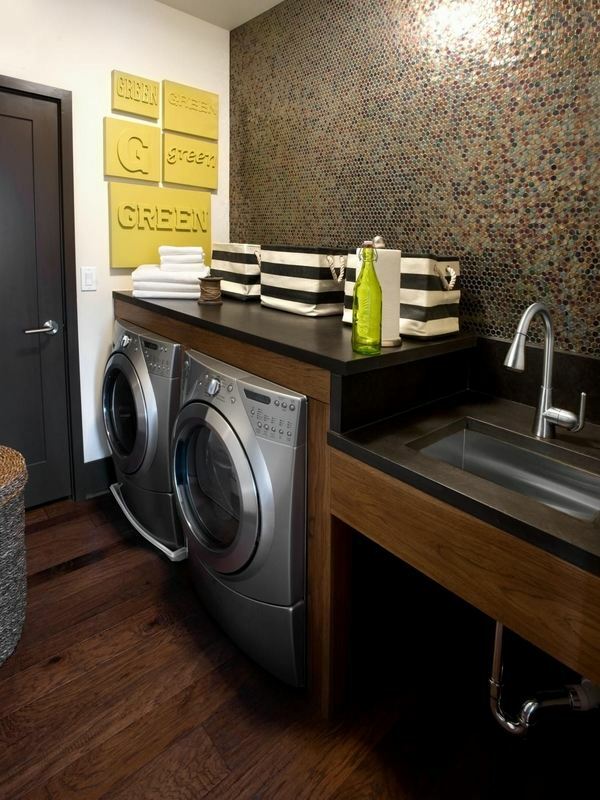 In most houses the laundry room is situated in the basement. It is a good idea to organize a functional laundry room with cabinets and storage space, ironing board, even a craft table. Make sure that you plan the space in compliance with the plumbing of the house. 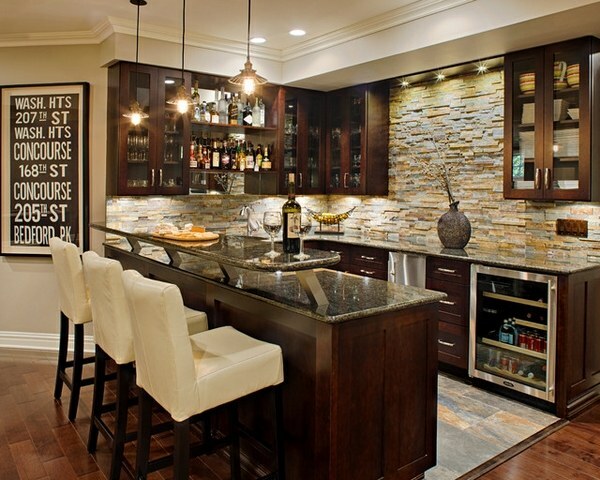 Add suitable lighting and all the appliances that you need. 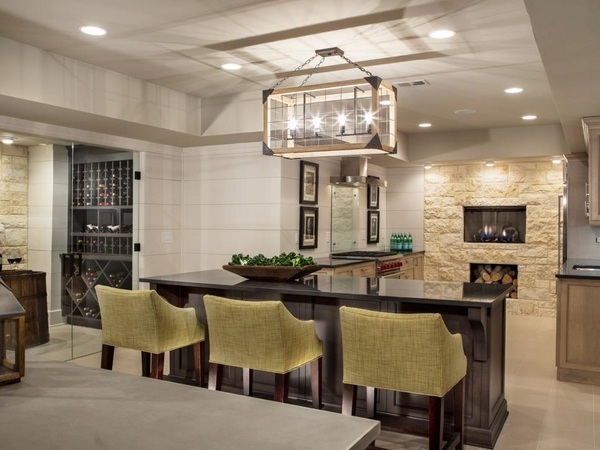 Transforming the basement into a home bar or wine cellar is a cool idea, especially for wine connoisseurs, who know that wine needs to be stored at certain temperatures. 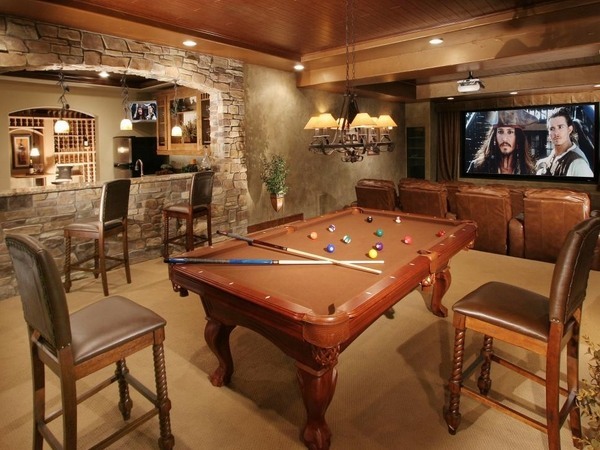 Add a bar area, a pool table, a few armchairs and you will have the perfect place to meet with friends. 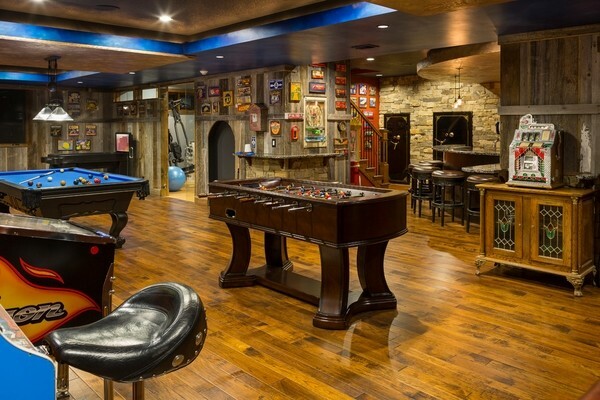 A man cave in the basement – the dream of every man – can be arranged and depending on the interests, hobby or favorite activity you can design your man cave as a home theater, a place for watching sports, a home bar, etc. Home fitness in the basement – what a great place to arrange all the equipment that you like in the gym! 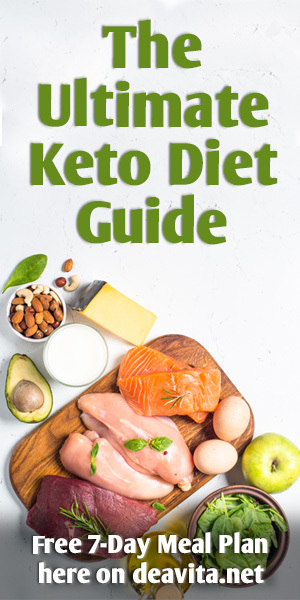 The basement is a very practical place especially if you do not like outdoor training and do not have time for going to gyms or fitness studios. Do not miss this great opportunity to make your own gym at home. 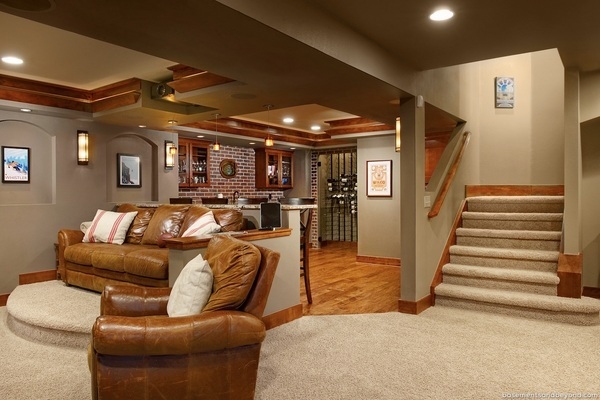 What is important to consider when planning the basement design? Like we mentioned above, finishing the basement will depend on your needs and the ideas that you have for using the space. You have to keep in mind that the three basic and most important factors which determine the comfortable use of the area are waterproofing, lighting, and ventilation. 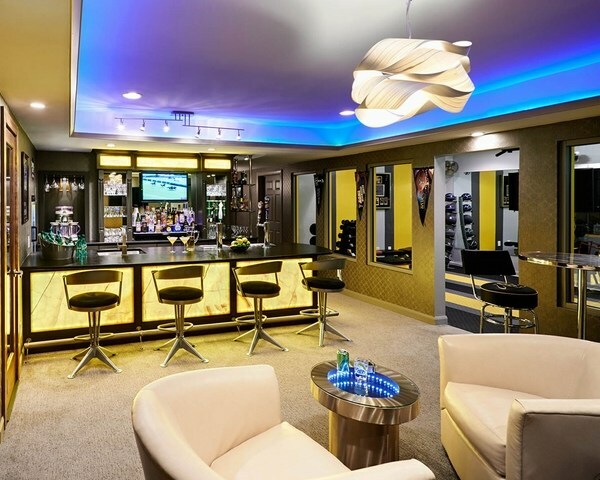 Finishing or remodeling your basement, decorating and furnishing the space requires a financial investment and you will not want to waste your money in vain. Neglecting the process of insulation or ventilation may cost you a lot and once you have finished the basement, repairs can be difficult, expensive and sometimes even impossible. 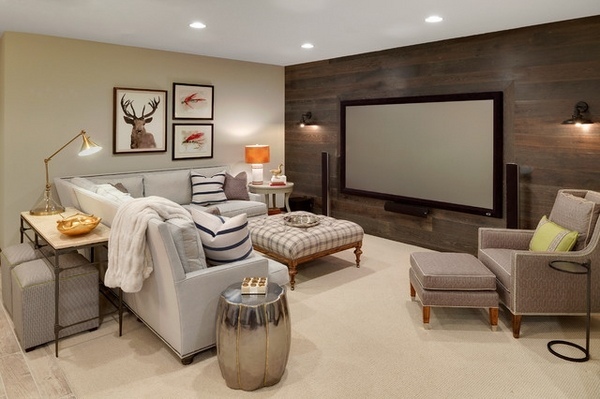 Basement insulation is mandatory when you want to have a dry, warm and functional space. Floor and wall insulation should be done carefully. Using spray foam insulation is a good option for the walls and any construction company will give you useful advice on floor insulation. Waterproofing is essential, so before beginning any work, inspect the walls and the floor thoroughly. High-quality insulation will save on heating and prevents heat loss into the ground and will greatly enhance the energy efficiency of the building. In the traditional living space window and door openings provide the ventilation. If your basement has no windows and you plan to add one or more windows, you should consult with an architect to make sure this is possible and in compliance with the building regulations. Windows will allow natural light and provide good ventilation which will significantly increase the pleasure of using the space. When choosing the right windows for the basement you should pay particular attention to the strength and size. The windows should not be too small otherwise the area will be dark. Always follow safety standards to ensure effective protection against burglary, depending on location and requirements. In case that there is no possibility to add windows to the basement, air holes are the solution. External and internal wall cladding should not close these holes. Water supply and sewerage should be designed and approved by the local water supply authority. Typically, sewage is above or at the level of the floor surface of underground floors. Heating is another major factor to consider. 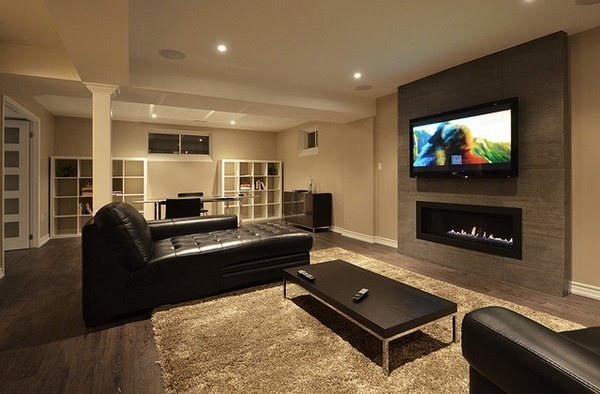 When you plan to remodel your basement and transform it into an area for a long stay – kitchen, bedroom, home theater, home bar, library – you should consider suitable heating so that the temperature is not lower than 20 °C. For utility rooms – laundry room, wine cellar – not lower than 15 °C. 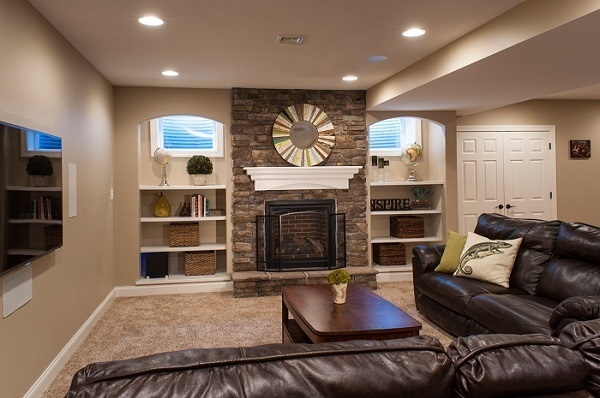 Good lighting plays an important role in the reconstruction of your basement. Besides the traditional lighting you can add accent lighting of bookshelves and artwork. Furthermore, be sure to install lighting on surfaces where you work or read. Use table and floor lamps to remove shadows in the corners. The finishing materials for the basement design will be selected depending on the specific purpose and the way you plan to use the space. 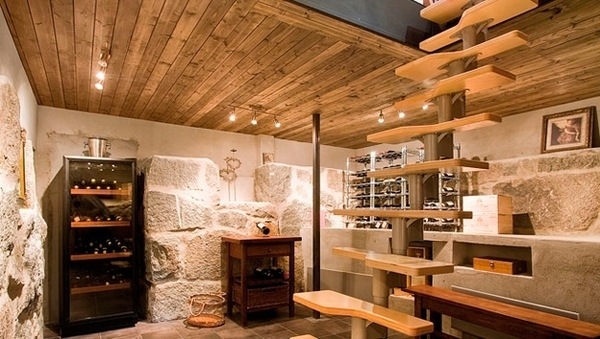 The stairs are one of the key elements of the interior of the basement and they should be not only beautiful, but also functional and easy to use. In addition, you have to be able to carry furniture or appliances up and down the staircase without a problem. When the space does not allow any other type of staircase but spiral, it will be a good idea to consider a separate entrance to the street which in the event of fire may be the emergency exit for the evacuation of people out of the building. The walls in the basement are usually made of concrete. 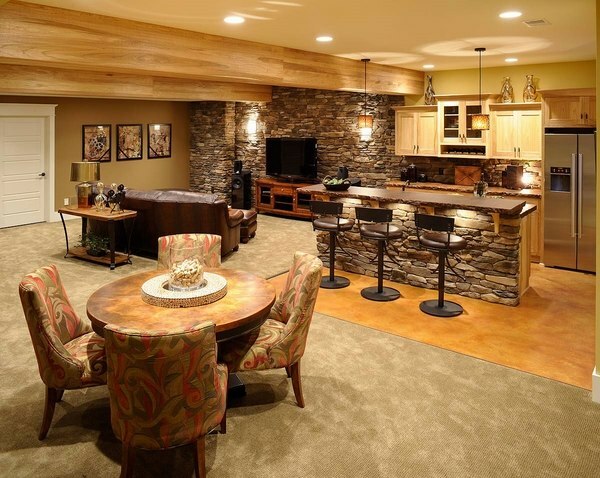 To give your basement a more inviting atmosphere, cover the concrete walls with drywall, plywood, paneling, or simply apply plaster and paint. 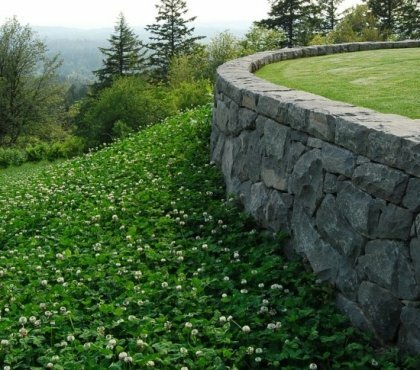 You can use wallpapers, create an accent stone wall from a variety of materials to make the space welcoming and inviting. Choose comfortable and practical flooring – hardwood, cork, vinyl, laminate, tile and carpet – these are just a few of the possible flooring options. 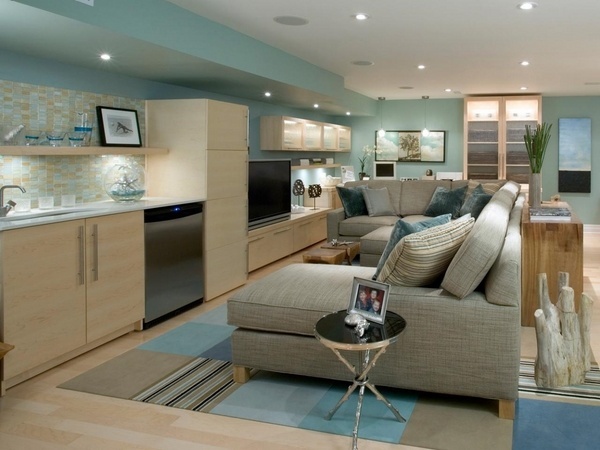 After transforming your basement it is likely that the place for storing will decrease dramatically. However, depending on the size of the basement, you can arrange a shelving system or storage cabinets or use the space under the stairs as additional storage space. 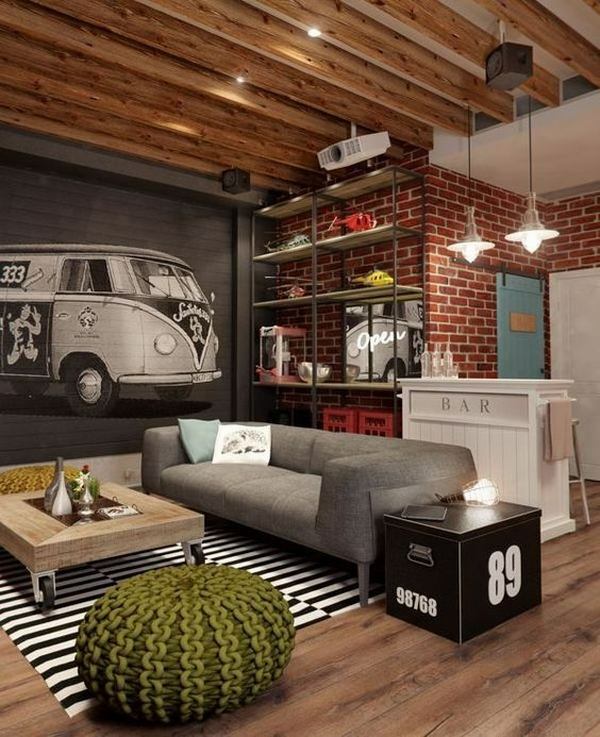 Choose a decor theme for your basement to make it personal and give it individuality and style. For example – a nautical decor, rustic decor, Shabby chic decor, etc. 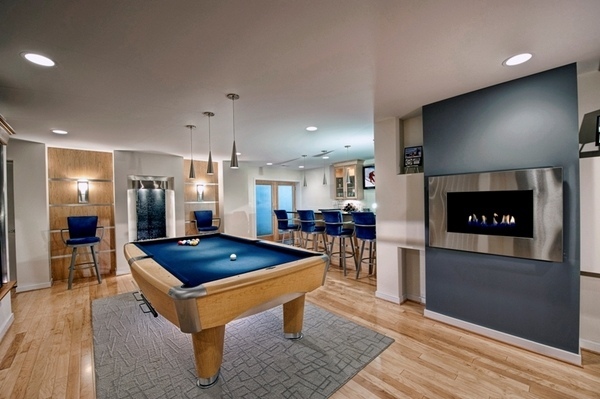 Make the basement multi-functional. You can arrange separate zones for different hobbies or activities – a mini craft room, a reading corner, a game zone, etc. Add color accents. 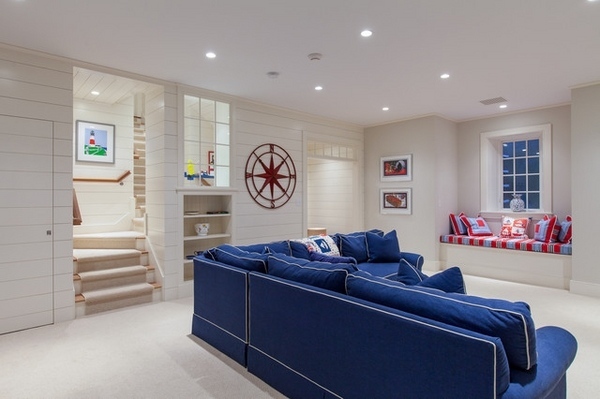 In basements, where the light is limited, walls should be painted in light shades. Add color pops by using accessories and furnishings in fresh, vivid colors. 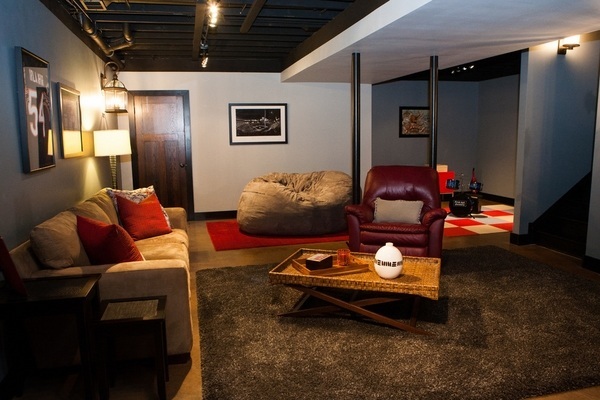 Make it cozy, do not neglect the small details because it is a basement. Add pictures, decorative pillows, display your collections, sports trophies, souvenirs from vacations, etc. It is advisable that all repairs are carried out by specialists which will be a guarantee not only for your comfort, but also for your safety. Decoration and design features should be selected in accordance with the room function, your personal taste or interior designer tips. 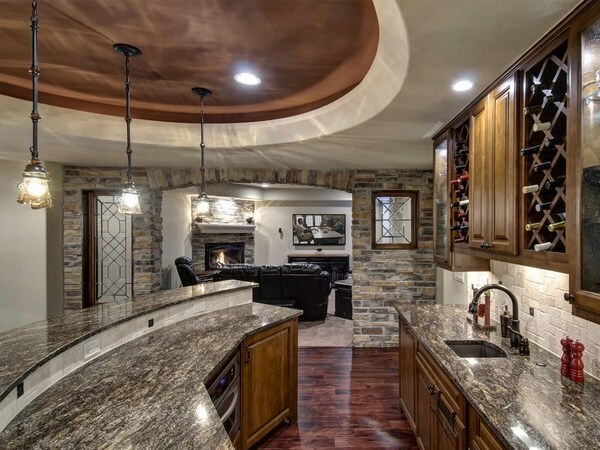 We want to focus your attention on the variety of basement ceiling ideas as the finish of the ceiling in any room adds to its appearance and makes it look complete. There are different ceiling options and the choice of ceiling will depend on the function of the room, the height of the ceiling, your personal taste, budget and even handyman skills, if you prefer to finish the ceiling as a DIY project. 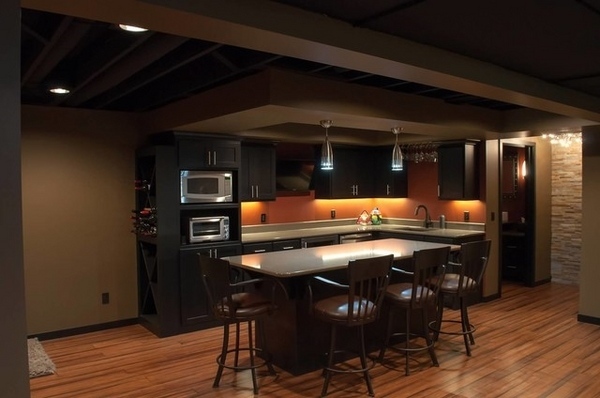 One of the most common problems when homeowners plan to remodel their basement is the lack of height and they need low basement ceiling ideas to avoid an appearance of a cave. 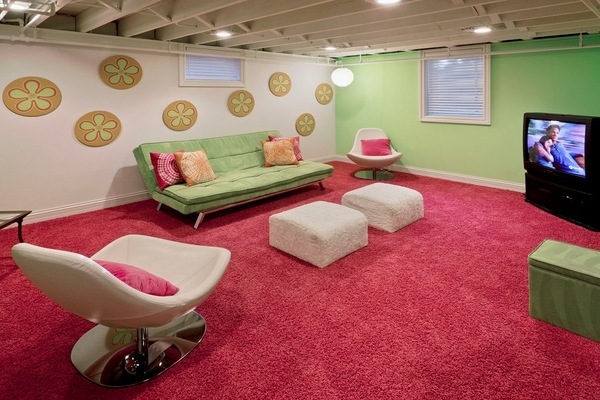 To many people low basement ceilings create a real design dilemma. 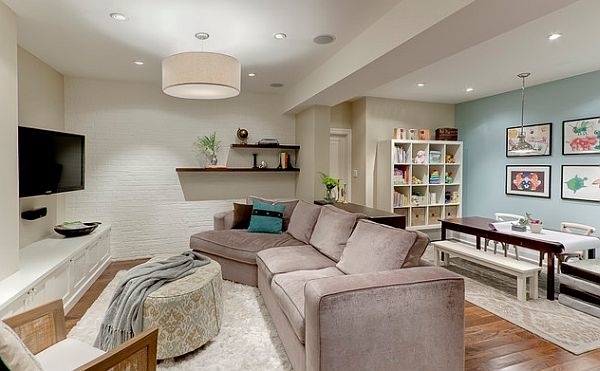 A low ceiling can easily make any area appear much smaller but there are some design techniques which will help you make a basement with a low ceiling look nice and attractive. 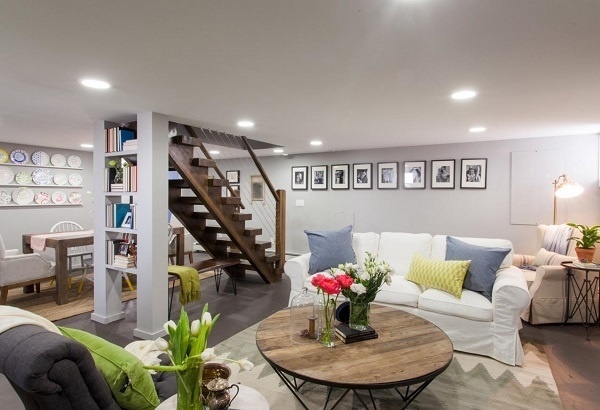 A clever light design is a powerful tool and many low basement ceiling ideas take advantage of different types of lighting to add volume and visual height to the basement. 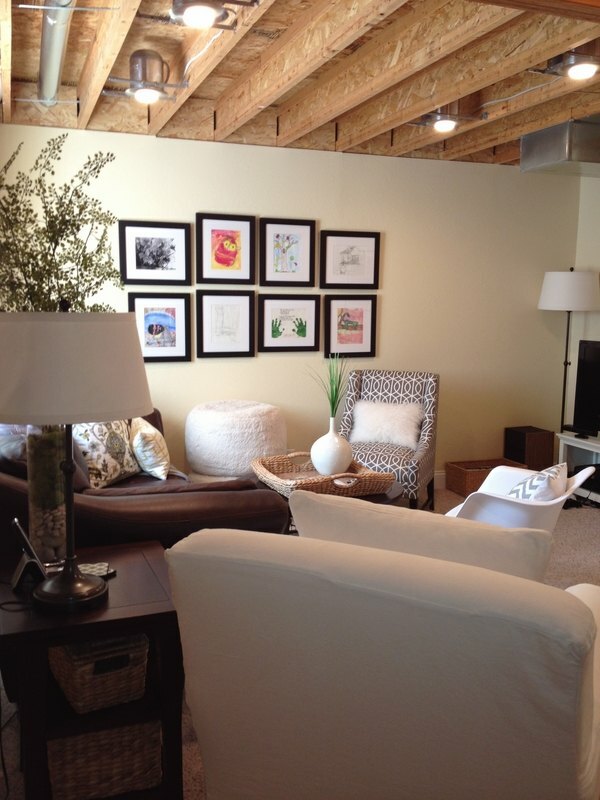 In general, opening up the area is a better option than dividing the space into separate rooms. An open plan makes the space look bigger, airy and an upward light will give you a visual height. Table and floor lamps also add to the feeling of space, so use them! Wall sconces are a good idea when you want to have an upward lighting. Make sure you install the wall sconces at a height that will place the light above your eye level. If possible, avoid fluorescent lighting, as it makes the basement look like a cave. It is not a good idea to hang a chandelier in a low ceiling basement ad this immediately draws the attention to the low ceiling and makes the area appear much smaller. 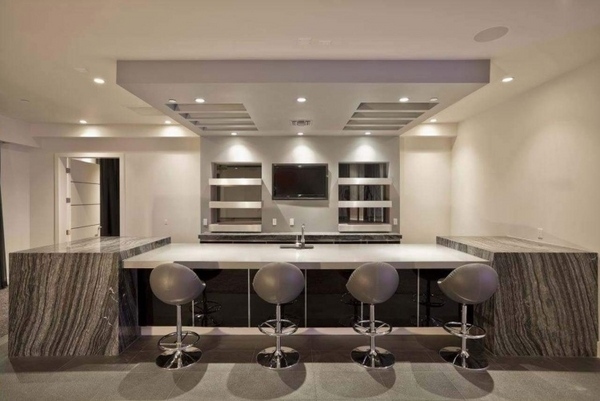 Using mirrors and reflective surfaces is another design trick to make a low ceiling basement appear larger. Wall mirrors add depth, they reflect light and draw the attention away from the ceiling. 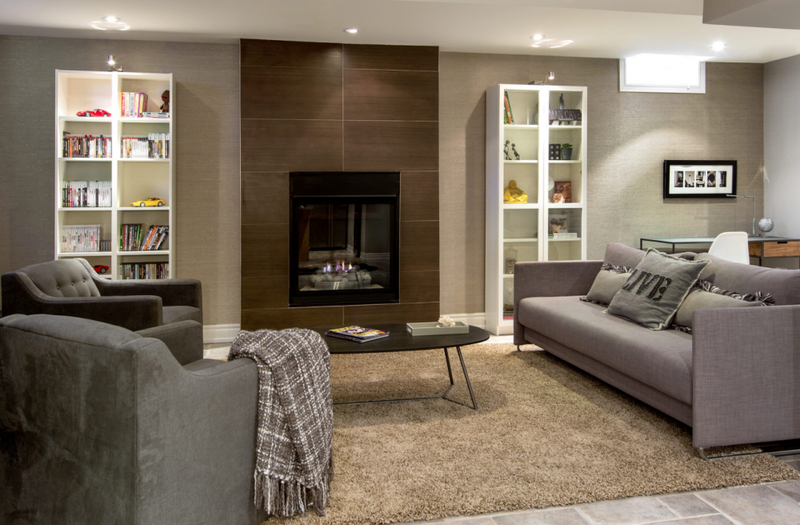 Another design technique to make a low ceiling basement look larger and more spacious is the way of arranging the furniture. To achieve a more open look you should place the furniture around the perimeter of the room and not in the center. In this way you can create small cozy areas and leave the center of the room free and uncluttered which will make the space look larger. Choose a light color for the walls and ceiling. 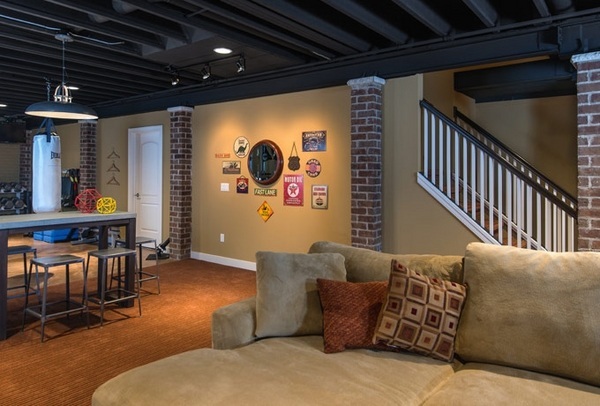 Dark paint color is not a good option for low ceiling basements. Pay attention to the windows and the window treatment. Do not block the natural light coming through the windows. If you want to have any kind of window treatment it is better to choose something light – a valance, mini blinds, etc. There are numerous basement ceiling ideas and the finish of your basement ceiling design should be chosen with care and attention. It should be in harmony with the design of the space both in color and style. An unfinished basement quite often looks like a maze with exposed plumbing pipes, wiring, structural support columns, and you need to hide all these unsightly systems. 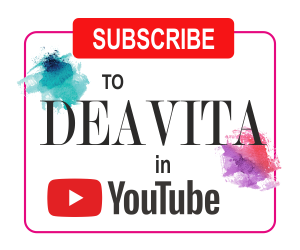 Sometimes you have to compromise on the desired look as it is impossible to hide all these elements, but with some creativity you can turn them into a decorative element. One of the most popular, inexpensive and good looking basement ceiling ideas is to paint the ceiling. It is also fast and does not require a lot of hard labor. 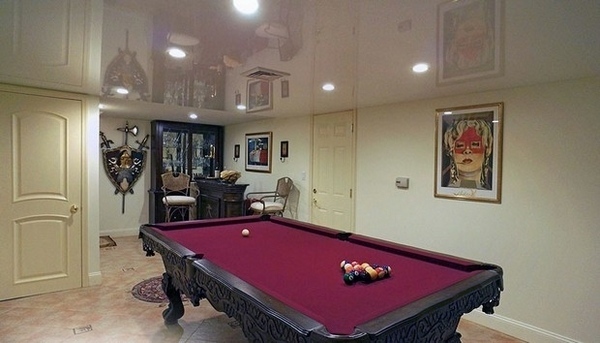 You can successfully disguise pipes and ductwork with paint. Simply paint the entire ceiling in one color for a uniform look. Using the same color on the walls will make the exposed parts less noticeable unless you want to make them a decorative accent. The choice of color will depend entirely on you, but do not forget that light colors make the space feel larger while dark colors would be a better choice if you want to hide any imperfections and hardware. A painted ceiling is a good option for basement playrooms, laundry rooms, storage rooms or rooms with a more casual function. It is advisable to use paint with a matte finish as glossy finishes will attract the attention to the ceiling. 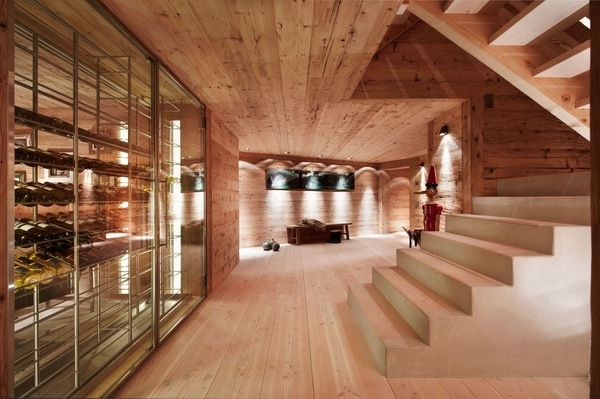 Wooden basement ceiling design can be budget-friendly if you opt for reclaimed wood. 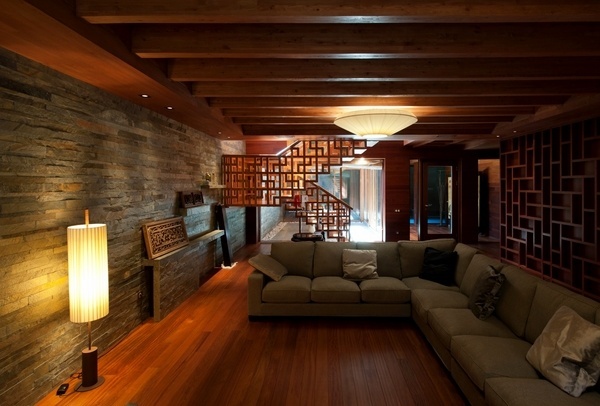 Wood makes the basement warmer and cozier and adds texture to the interior. 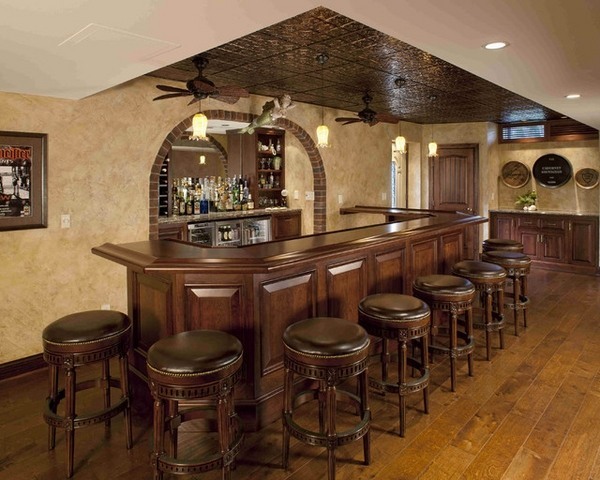 There are many options for wooden basement ceilings which work with almost any design style. 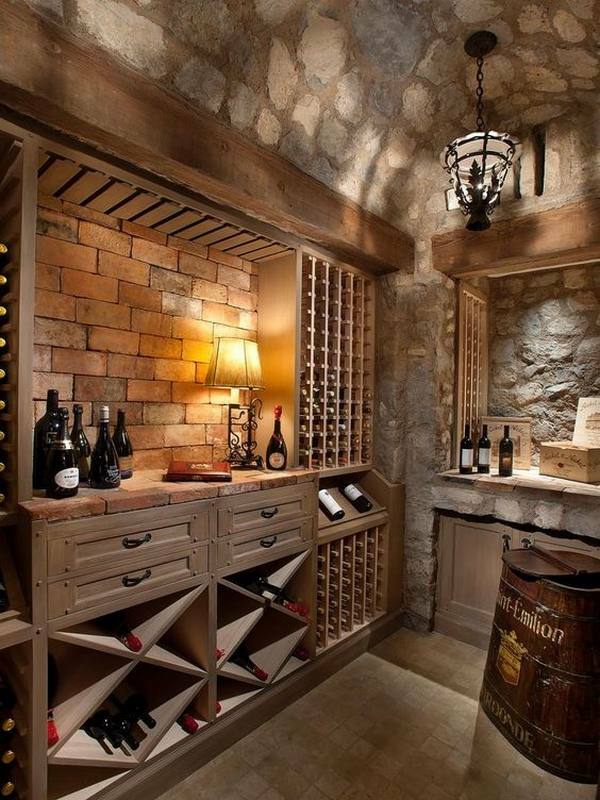 Barn wood basement ceilings or weathered wood basement ceiling will work in a great way in rustic decors, Mediterranean style interiors and you can use them in a wine cellar as well. 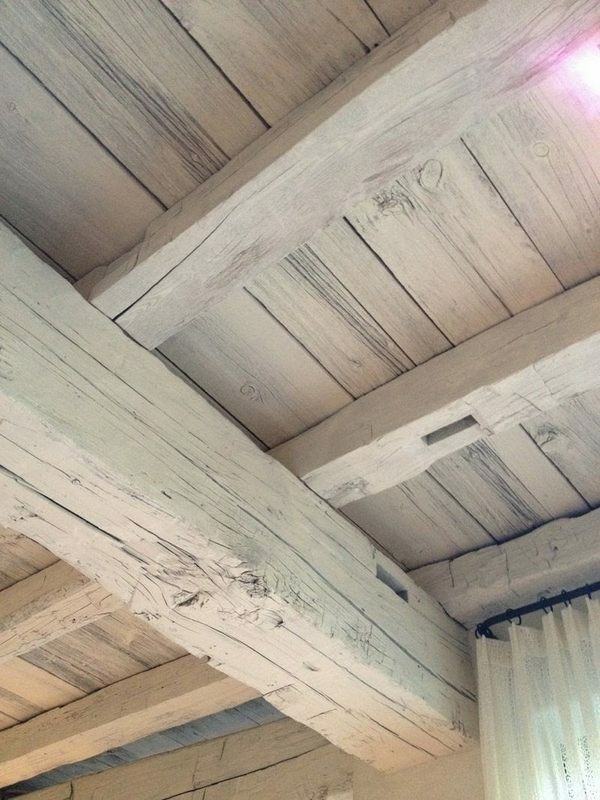 Whitewashed wood basement ceilings offer a more casual appearance and are a good option for beach style decors, rustic and Shabby chic interiors. 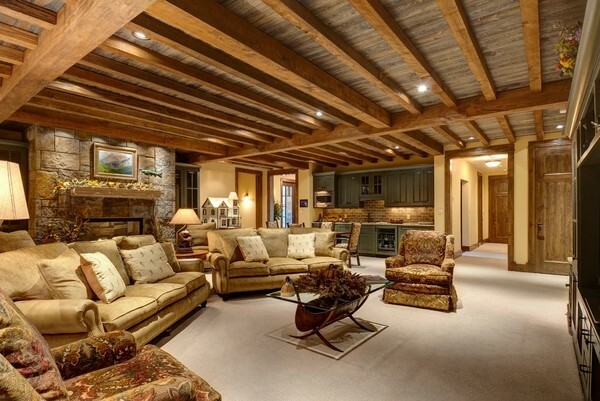 Ceiling beams in interior design – how to incorporate them in your home? Metal basement ceilings usually feature either tin tiles or corrugated steel sheets. Corrugated steel basement ceilings are a great idea for man caves, laundry rooms, a home gym or any other functional place. 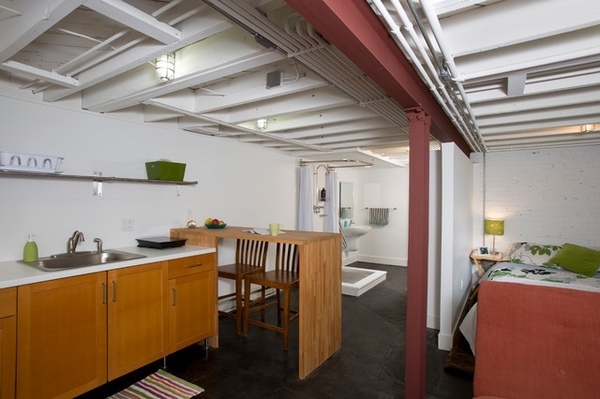 A corrugated steel ceiling adds an Industrial look to the interior but also works with rustic and country-styled basements, especially if you aged the steel sheets. Tin tiles can be painted in any color to match with the interior color scheme. 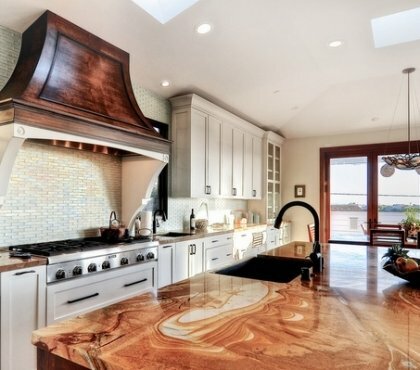 Copper tine tiles add a great sheen and can be used as an accent. 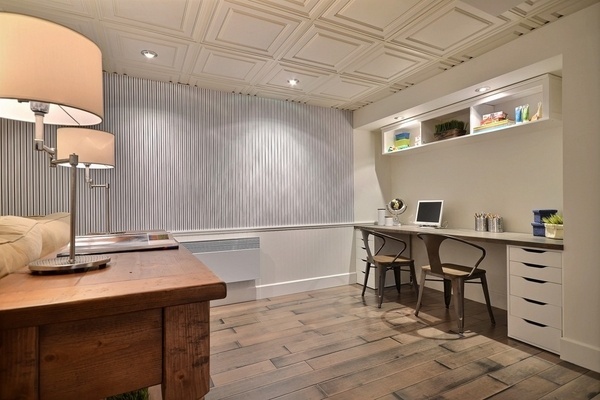 Tin tiles are inexpensive and easy to install which makes them a great option for a basement ceiling. Fabric basement ceiling is another simple and budget friendly ceiling design which will allow you to cover pipes and ducts without any effort. You can nail or staple the fabric to the joists and create a cozy tent-like look. This ceiling design is suitable for kids’ playrooms, bedrooms, even a home theater or media rooms or rooms, where you want to achieve a more intimate atmosphere. 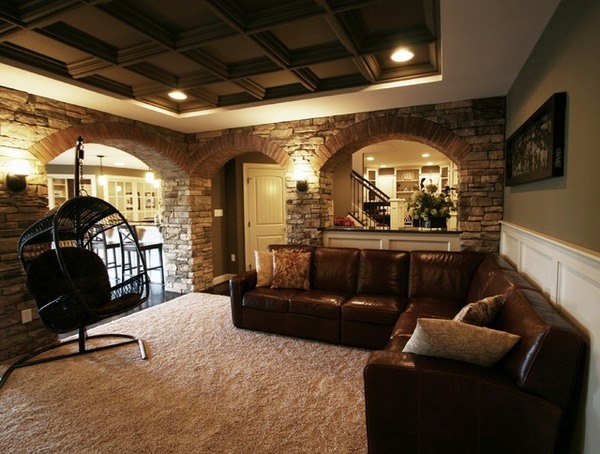 Brick and stone basement ceilings have a tremendous visual appeal. 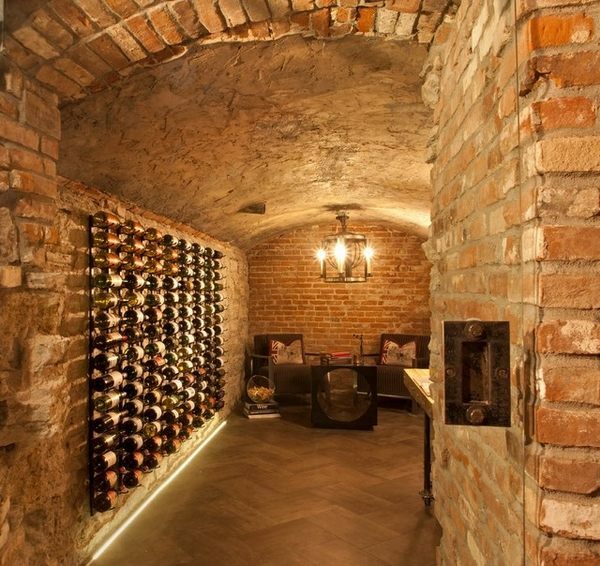 That type of basement ceiling is the perfect choice for wine cellars or industrial interiors. 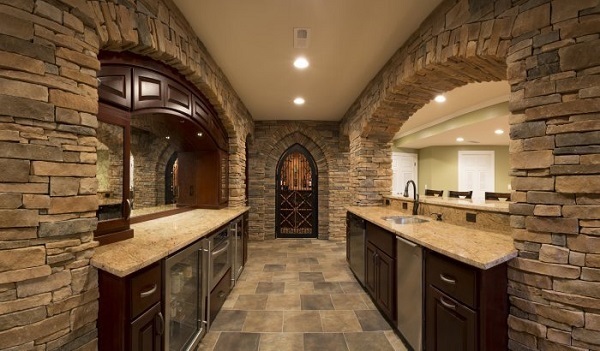 Bricks and stone create a fantastic atmosphere and work with almost any other material so your basement ceiling will be a complement to woodwork, rustic style furniture, leather sofas and armchairs, wood flooring, etc. 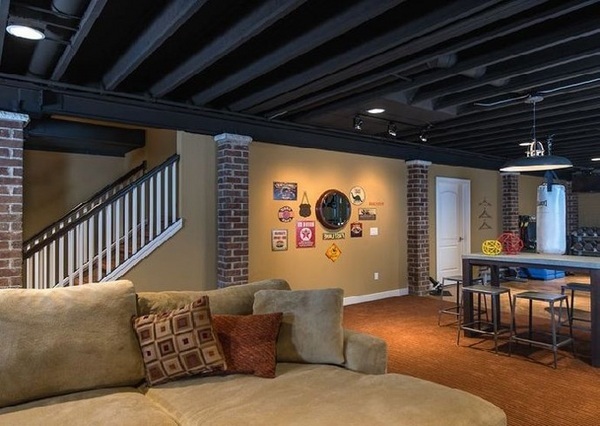 Exposed basement ceilings are widely popular as they offer many design opportunities. Those who are not afraid of exposed pipes and like exposed ceiling beams can turn a defect into an effect. Choose spray paint in a color that will work with the decor style of your basement and your ceiling will be finished in a matter of hours. Exposed wooden beams, slats or wood planks are a great ceiling decoration and if you have them, do not hesitate to display them! 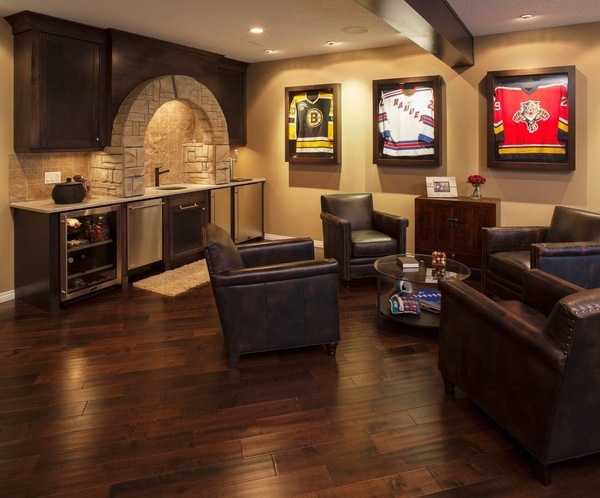 We looked at some basement ceiling ideas and a variety of materials. Now let’s look at the different ceiling options and see how they can be used in an unfinished basement to give it a finished look. Suspended ceiling in the basement, also referred to as dropped ceiling or false ceiling, is a secondary ceiling, installed below the main (structural) ceiling. A suspended ceiling requires a metal frame and ceiling tiles. An advantage of these ceilings is that they are easy to install and the metal frame is lightweight. Further to that, with a drop ceiling, you still have a quick and easy access to pipes, wires or ventilation system and in case any of those needs to be repaired or replaced you will be able to do that by simply moving a section or sections. Nowadays, the market offers many tile options for suspended ceilings – styrofoam ceiling tiles, tin or faux tin ceiling tiles, acoustical tiles and panels, acrylic or mineral fiber panels, etc. These panels absorb sound and help muffling noise between floors. The price range varies depending on the material and the design but when you are on a budget you can choose more basic and affordable options. Drywall ceiling in the basement requires more skills and it is advisable that you hire professionals. 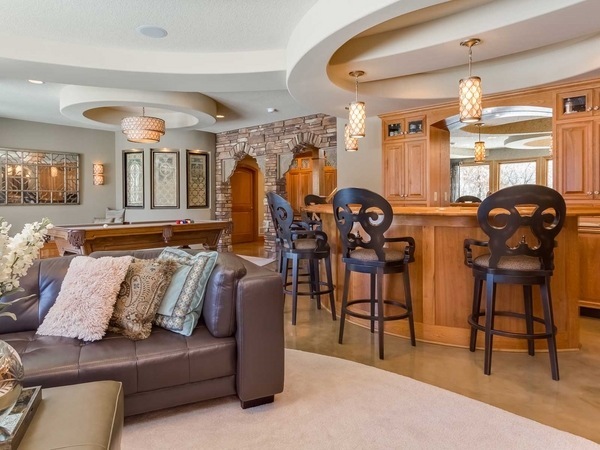 Drywall ceilings look great and give the basement a beautiful look but their main disadvantage is that they block the access to plumbing, wires, and anything else behind it which makes repairs extremely difficult. Another problem is that you need to think of the seams at the ends of the drywall panels. They are visible and you’d have to use molding to hide the seams which is an additional expense. Tongue-and groove boards are a good option as they are lightweight and can be installed as a DIY project but you will need someone to help you as drywall panels are not small-sized and it will be difficult to hold them overhead by yourself. Soffits are the way to get around basement ceiling obstacles. Soffits are sections of the ceiling that extend down to conceal exposed items like pipes, wires or ventilation system. A soffit is made by using framing materials and building a box around the obstruction. If planning a soffit on your basement ceiling, make sure that it will not be on the way as soffits are lower than the normal ceiling level. However, you could use soffits in a creative way, as they can be a part of a tray ceiling or two-level ceiling. 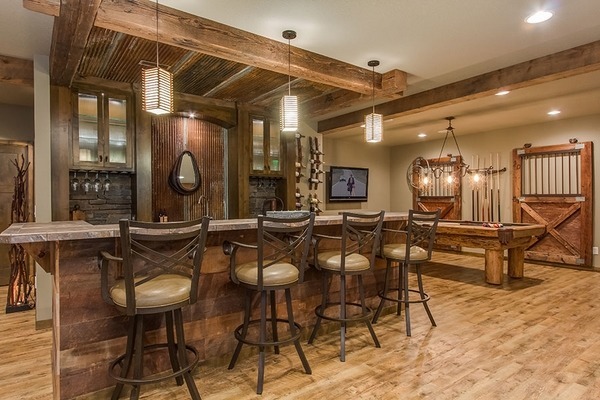 Faux ceiling beams or box beams are another way to solve the problem and hide ceiling pipes and wiring. A box beam is a fake, hollow beam made from three boards nailed together. They can be made of solid wood or, if you prefer lightweight version, from faux wood or polyurethane foam. 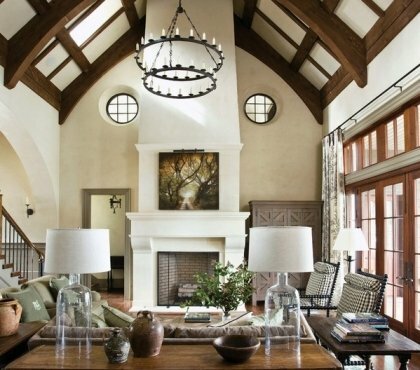 Ceiling beams have a great aesthetics and visual appeal and are a good option for tall ceilings as they add texture, style and elegance to the interior. 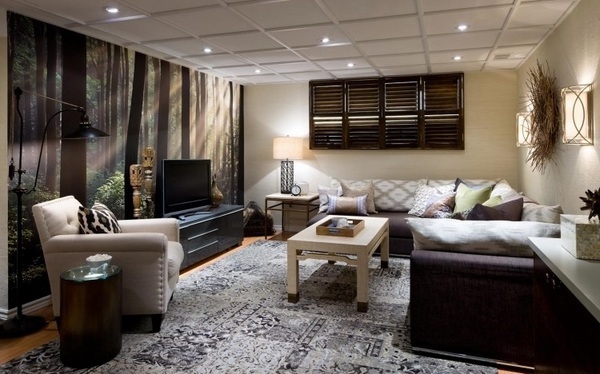 Stretch ceilings in the basement are a great option for the ceiling design but they are more expensive. They come in a wide variety of colors and 3D designs and can add an original and artistic look to your basement. 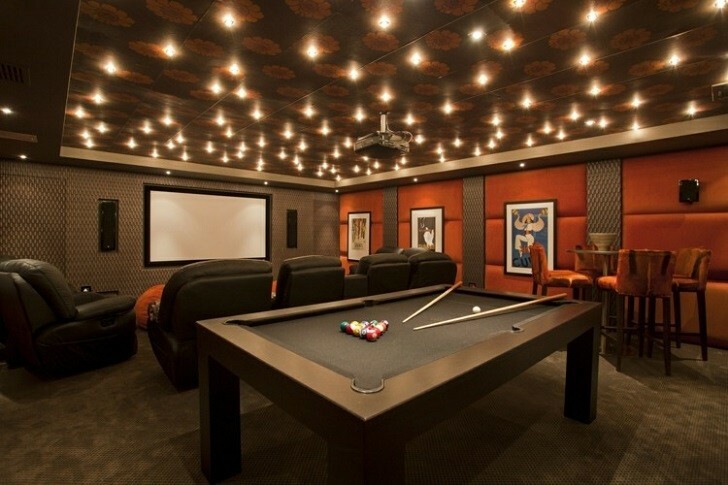 You can always opt for a custom ceiling if you want to have a unique basement ceiling design. Custom made ceilings come at a significant cost, but they are especially made for you and will express your individuality, taste and personal style.